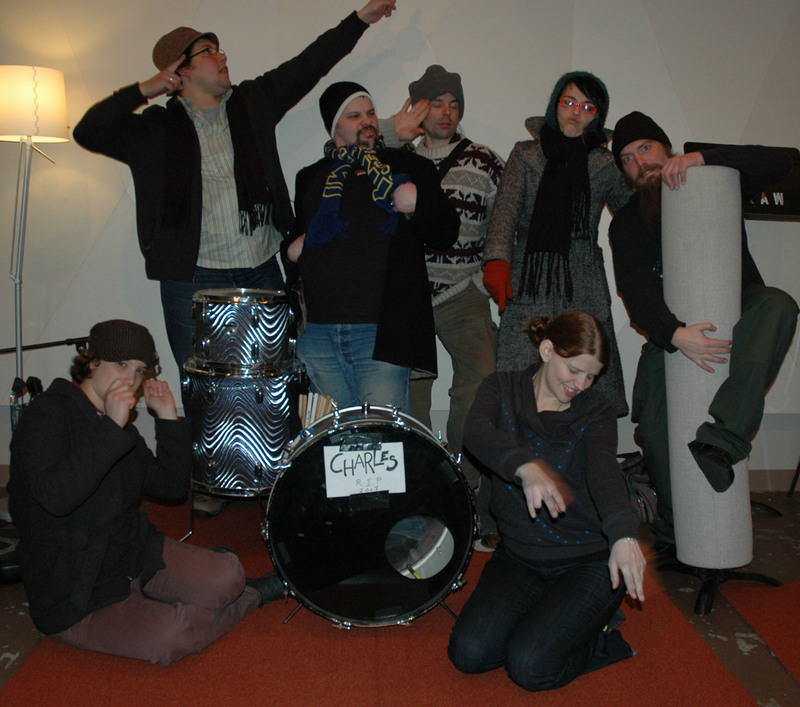 SAM BOSHNACK’S B’SHNORKESTRA RELEASES GO TO ORANGE TODAY 8/27!! Six years in the making, Beth Fleenor’s 3-CD Figeater Box Set: SWEET FIGEATER SURPRISE will be deployed this week. Recorded as part of the Jack Straw Artist Support Program, SWEET FIGEATER SURPRISE features six different conFIGurations, arranged into three individual FIGures, in a vast sonic buffet that embodies the Principles of the Fig. 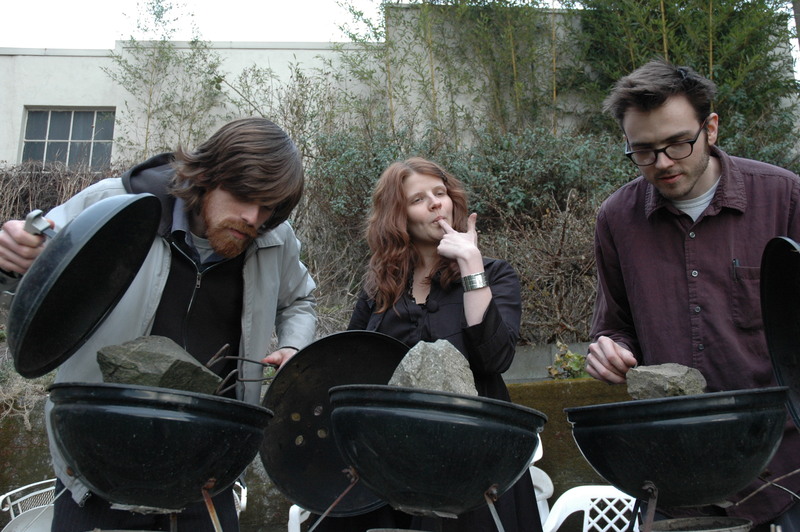 Figeater is a time-based performance process emphasized ensemble that recognizes the audience and environment as members of the conFIGuration performing. Engaging with the box set, you become the Figeater as you choose how to move through the material presented. 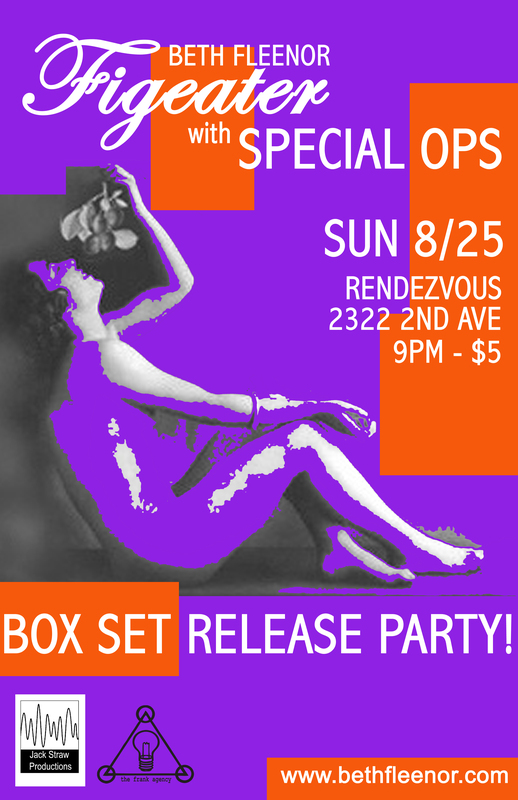 Join us for the Surprise Deployment Party at the Rendezvous (Seattle) August 25 – 9pm and look for the collection online through Bunny Blasto Records in the coming weeks. World Jazz Composer/Flutist Elsa Nilsson brings her trio from NYC to join forces with some Seattle heavyweights for a West Coast release party in celebration of her new album, Already There Yet. Combining the rich heritage of her Swedish homeland with original jazz mixed with grooves from Brazil, Cuba, Turkey and the Balkans, Nilsson and her quintet will showcase songs from the upcoming fall release. 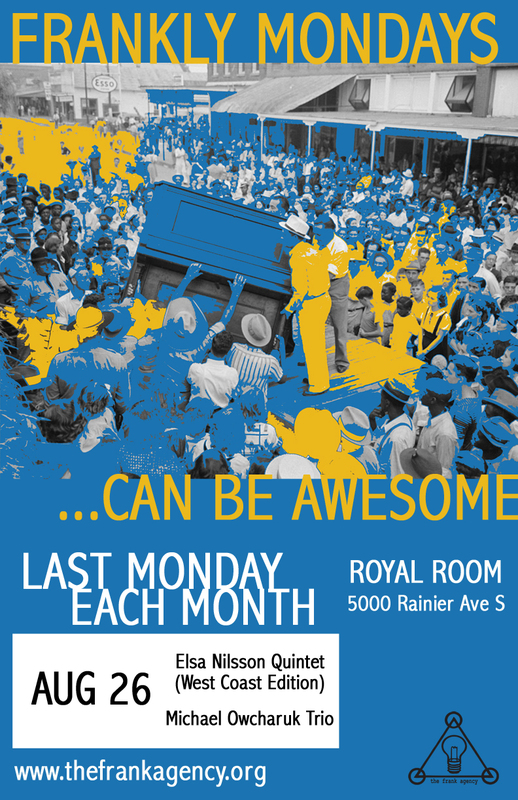 The Seattle incarnation will feature Elsa Nilsson (flute), Beth Fleenor (clarinets), Dawn Clement (piano), Alex Minier (bass), Cody Rahn (drums). 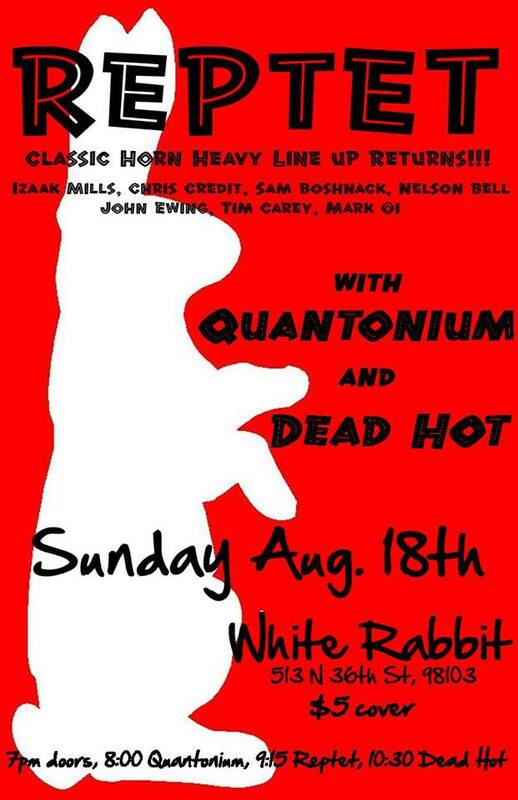 Those horn-heavy tone bandits have returned….head to the White Rabbit to hear more.